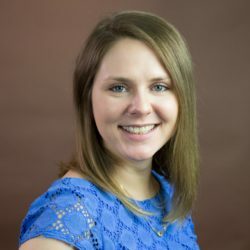 Kassie Mae Miller has more than 9 years of experience in program evaluation and applied research, graphic design, and data visualization. Her areas of content expertise include maternal and child health and early childhood education. Miller supports data collection, quantitative and qualitative analysis, dissemination, and technical assistance for a number of JBA projects, including the National Home Visiting Resource Center and Design Options for Home Visiting Evaluation. She also provides data visualization and graphic design support for public-facing dissemination materials, including reports, briefs, fact sheets, and data profiles. Previously, she worked for the Office of Program Evaluation in the University of South Carolina College of Education, where she managed evaluations addressing educational issues. Miller received an M.P.H. from the University of South Carolina.